“The one misconception here is that the two means of analysis are mutually exclusive. Not only are they not, but they actually work together as complementary puzzle pieces that come together to illustrate a larger picture of what’s happening on the ice. The distinction between them is that while Corsi tells us “what” took place, microtracking tools such as zone exits tell us “how” or “why” it did. In that way they’re intertwined, with a change in one of them signalling some sort of intrinsic alteration to the other. “There’s little nuanced adjustments like that which the coaching staff can tinker with during the stretch run to ensure that their top players are in peak physical condition when it matters most. A trickier schedule looming on the horizon from March 1 on, including 5 back-to-backs and a trip out West through California, could force their hands to ease up on the reins. The reality is that competition gets tight come the spring. 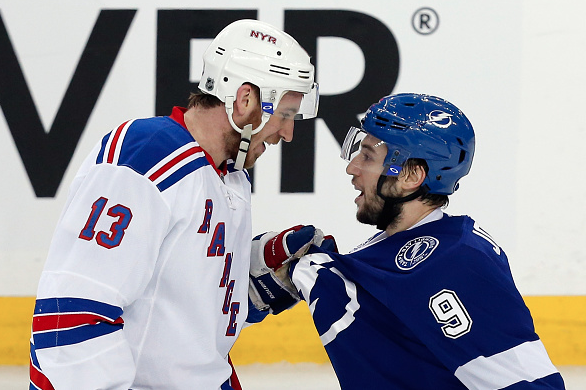 One reason why the NHL playoffs are so exhilarating is because parity reigns supreme in the sport. When the crop of teams gets dwindled down to the best of the best, the pre-existing margin for error from the regular season essentially vanishes. Every little bounce or decision can determine the outcome of a game, and in turn a series. With that in mind, it makes sense that teams would be exploring every possible avenue for getting even the slightest leg up on the opposition, in any place they can get it. Over the years we’ve seen a greater attention to detail invested into the preparation that takes place off of the ice well before the players make their way onto our television sets. “It’s encouraging that their coach seems to have a good grasp of these trends, based on his recent comments (though there’s been some early signs of cracking at the seams under all of the growing pressure). He’s not wrong that all of the shot rates they’re directing towards the other team’s net are, for the most part, in the same ballpark as they were before this swoon. Recognition of that is at least part of the battle, because it’s awfully easy to overreact in an irrational manner in times like these. The issue is that the process eventually needs to start translating into results and some of those shots need to start finding their way to the back of the net. At some point a blip in the radar becomes a real trend, and we appear to be rapidly reaching that point as the losses continue to pile up. Especially since the overall play itself irrespective of the bounces they have or haven’t been getting has been slipping. “With Crosby there will always be a bittersweet backdrop about what we all may have been cheated out of when concussions derailed him just as he was reaching the level of hockey legends. As well as he’s playing now, and even has over various stretches since then, it seems unrealistic that he’ll ever legitimately once again approach the rarefied air he was in as a player during that 25-game point streak prior to the 2011 Winter Classic. None of which is to put a damper on his current production, but more so to speak to the unfathomably high standard he’s set since the moment he entered the league a decade ago. The accompanying expectations stemming from that surely played a role in fueling the reverberation felt around the hockey world in response to his early season struggles. He’s been so good, for so long, that the way he is judged is different from anyone else. Anything else beyond status quo is instantly alarming. “Trading a veteran asset like Hamhuis at the deadline might be a hard pill to swallow for a team that still appears to fancy itself as competitive one despite growing underlying evidence to the contrary. Especially given the difficulty they’ve had patching a usable defense corps together in his absence. But it would also be a prudent one, showing off a certain level of foresight and objective understanding of the position they’re currently in on the league’s food chain. 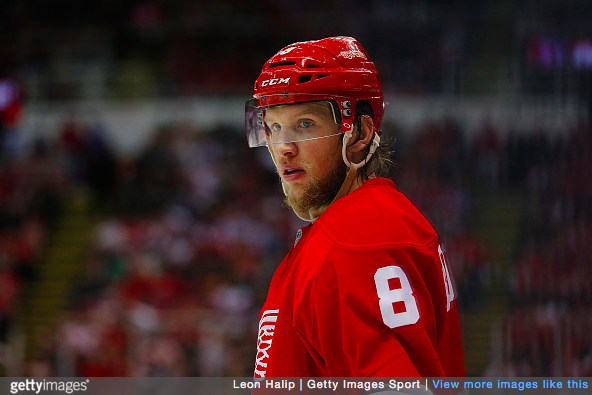 “The Detroit Red Wings have been a decidedly successful franchise under Ken Holland’s watch. Since being appointed as the team’s General Manager before the ‘97-’98 season, their overall resume from start to finish has been unparalleled any which way you slice it. They’ve hoisted the Stanley Cup as the last team left standing in the playoffs on three occasions while adding an additional four Presidents’ Trophies as the league’s best regular season team on top of that. As such, it’s not surprising that no franchise has won more regular season games or playoff games than they have in that time. 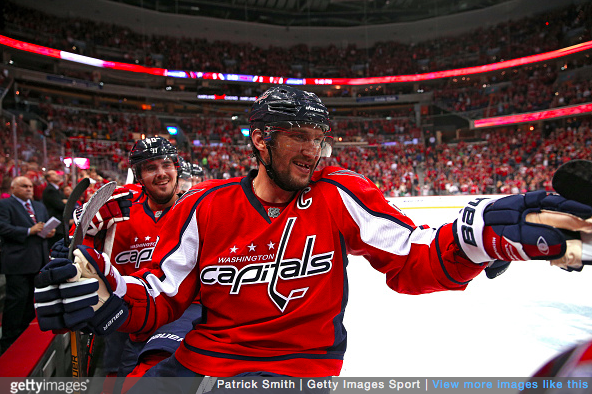 “The direct imprint he’s left on the Capitals juggernaut has been an obvious one. Just as important, however, has been the indirect byproduct of his emergence. More subtle has been the dilemma he’s presented opponents with. Unlike in past years, they now can’t devote the full efforts of their defense on attempting to shut down just the one line while blissfully ignoring the rest. If they negligently do so anyways, then Kuznetsov’s line will eat their secondary defensive options alive. But if they account for that and choose to play the Capitals straight up, that frees Ovechkin and Backstrom up, making their lives easier than they’ve ever been. “With that in mind, the dichotomy of the scene’s backdrop immediately following the goal itself was jarring.There was Daniel Sedin, celebrating an exemplary career milestone in a place that’s represented a personal haunted house no less, with the person he’s shared such an extraordinarily large number of the stepping stones culminating in that moment nowhere to be found. Instead it was Jared McCann, currently serving as the team’s number one center while Henrik licks his wounds, who was the first to embrace him for an accomplishment that’s been 15 years in the making. There was something incongruous about it. Though given the type of season they’re having as a team I’m sure they’ll take an occasion worthy of genuine elation like this one in any form they can get it. “In a roundabout way, this bender they’re currently engulfed in could actually be a blessing in disguise for the Canadiens if handled properly. Even though you couldn’t help but feel like all of the juice would never quite be squeezed out of the orange under the watch of Michel Therrien, it was understandably a tough call to make such a drastic change when they were winning 50 games and advancing in the playoffs. Now that they’ve been caught up in the perfect storm of misfortune, making the switch to a coach better suited to run the team over the long haul might be more palatable for that front office from a PR perspective given the fanbase’s desire for something to happen. Even if it means owning up to the initial mistake of extending him in the first place, rather than choosing to die on that hill by stubbornly compounding it. Regardless of how exceedingly difficult it’s becoming to keep shouting it with all of current woes compounding, I’m still of the belief that this can be a pretty good hockey team. The things the Montreal Canadiens do poorly don’t result in a 94.8 PDO (a sum of team shooting percentage and team save percentage to measure “puck luck”). They’ll get their most impactful player back into the mix sooner rather than later, and eventually whichever hockey gods they’ve crossed will forgive them for those transgressions. There’s still plenty time lift to salvage the year, thanks to the initial cushion they built for themselves early on. “In theory, a legitimately great goaltender playing at the top of their game remains the most valuable chess piece on the board. While the sweetest and most sustainable long-term music is made when all of the figurines up front are working together in perfect harmony, what separates the goalie from the others in importance as they lurk in the background is two-fold: they’ll essentially always be on the ice, and unlike with anyone else there’s ultimately only so much the rest of their teammates can do to shelter them. Given enough time the puck will eventually expose a lousy netminder, while a dominant stopper will always give their team a chance to stay competitive regardless of how much quality (or more appropriately, lack thereof) there is in front of them. A goalie truly is the ultimate equalizer, either by mopping up mistakes and masking various flaws, or by submarining the efforts of everyone else. That’s not to say that there aren’t players at other positions who can markedly impact those around them, because there undoubtedly are, but it’s remarkable how much a goalie can single-handedly move the needle. It being the position whose performance we can project with the lowest level of certainty year over year is surely ironic, if not somewhat tragic. “I don’t want to put too much stock into this here because it’s still impossible to truly discern what’s reality, and what’s just good old fashioned posturing. Ultimately it’s smart to avoid backing yourself into a corner as a decision-maker, which is exactly what going out of your way to formally announce your intentions would double as. What would be a concerning issue however would be if there were actually some truth to the rumblings we’ve been hearing recently. Like the one about the Canucks considering giving Radim Vrbata an extensionas a viable course of action. That would be a gross miscalculation of both the landscape and their relative place in it to say the least. While Vrbata’s stock has undoubtedly dropped thanks to his unfortunate shooting luck early in the schedule, it’s still easy to envision a contending team offering a pretty penny for his services as a rental come the deadline. With how tight the standings are league-wide because of the loser point, there are very few legitimate goal scorers sure to be available in trade. “Maybe of more interest here is what the future holds for both parties. In taking full advantage of the spectacular play they’ve been receiving from Mrazek in net this season, the Red Wings have in turn boxed themselves into somewhat of a corner financially moving forward. For both Mrazek and his bank account this breakout has been well-timed with him being up for a new contract after this year. The team retains a certain level of leverage in negotiations given his RFA status and limited track record at this level, making how they choose to proceed in structuring his next deal fascinating. One option is to play it safe and give him a bridge-type two-year deal similar to what the Bruins did with Tuukka Rask before the 2010 season, and the Capitals did with Braden Holtby in 2013. The inherent risk taken in doing so is that Mrazek continues something resembling this run of play, and they wind up having to pay for it to an even greater extent the next time they meet to negotiate. They could also lock him up for the foreseeable future, buying up some future UFA years for cheaper than the going rate on the open market. The issue with doing that is that we know the goaltending position to be one brimming with uncertainty on a year-to-year basis. Generally speaking, it’s not advisable to saddle yourself with a contract that could quickly become an albatross by handing it to a player that carries significantly more risk than his skater counterparts. In Mrazek’s specific case, there’s also an argument to be made that we don’t necessarily know exactly what he is yet at this level. It typically takes ~3,000 shots from NHL shooters to gauge what a goalie’s true talent level is with any real confidence. Should he start a significant majority of their remaining games this season, he’ll still fall below that threshold for his career by the time the Red Wings need to make that determination. “I guess the way the entire situation has been mishandled shouldn’t be all that surprising when it involves the same organization that willingly opted to let ace two-way standout Anton Stralman walk by handing his older, significantly less effective teammate Dan Girardi a six-year, $33 million extension. While that initial misstep was inexcusable in and of itself, compounding it by continuing to feed that sunk cost heavy minutes despite mounting evidence that he can’t handle it in even a passable fashion is almost just as egregious. As if all of that wasn’t bad enough, now history will likely repeat itself with Yandle (admittedly under slightly different circumstances, given the type of money he’s expected to fetch on the open market this summer). If Yandle had been as vital a contributor to Alexander Ovechkin’s 498th career goal as Girardi was, he’d either be raked over the coals or fired directly into the sun. To be fair to Girardi, he himself rarely ever makes a mistake that glaring. He much prefers the death by a thousand cuts approach, using the blunt object that is repeatedly being hemmed in his own zone to bludgeon his team into submission over the long haul. “The old cliche of ‘there’s a reason they play the games’ is a groan-inducing trope that tends to be used as a crutch in place of meaningful analysis. But there’s still merit to it, in the sense that forecasting the playoffs is anything but an exact science. While the 82-game regular season is a marathon in which the cream generally rises to the top, the postseason is more of a sprint. As such any little unforeseen bounce of the puck or injury to a key contributor can change fortunes, throwing a monkey wrench in our expectations. That’s why we’ve seen 10 of those supremely successful regular season teams listed above crash and burn in the 1st round after being upset by opponents that looked discernibly weaker on paper. “10 games most certainly does not a season make, but the fact that there are concrete fundamental changes that were made which coincide with the uptick in play is encouraging. If anything, it’s helped them take advantage of the opening created by a landscape filled with Atlantic Division teams that can’t seem to get out of their own way. Nary a team has been able to distinguish themselves from the pack, and that wide open nature throws an interesting wrinkle into their potential plans for the upcoming trade deadline. With an inordinately large percentage of current contributors looking for new contracts after the season, it’ll be fascinating to see whether they transition from potentially selling off parts to now addressing some of those issues lower down the lineup if they remain in the mix with their peers between now and late February. Whenever a team goes on an extended run such as this one (on either end of the extreme, really) all hell breaks loose on the public perception front. It can be blinding, making it awfully tough to stay rational and maintain perspective. This is the just latest example of that. The Panthers aren’t going to win every single game they play the rest of the season. They’re also not terrible. They’re somewhere smack dab in the middle there, as a team that can remain competitive and potentially string together enough wins between now and the end of the season to make a little bit of noise should some breaks go their way. “Where the two parties go from here will be an interesting storyline to follow. If 29 other teams weren’t inquiring about his availability prior to the trade request, they certainly are now. While I still think Steve Yzerman and his staff aren’t likely to panic and sell him for below market value, it’s not like we’re without precedent here. Despite the growing number of cautionary tales suggesting that giving up on a young, prolific offensive talent at this point of his career is almost exclusively a horrible idea, history repeats itself time and time again. For an enterprising front office, this looks like one of those situations where you combine the assets you’ve been quietly accumulating over time to put together a package that may stop the Lightning in their tracks. A team like the Arizona Coyotes or Carolina Hurricanes, for example, who have drafted well and stocked up their prospect pool over the past couple of years would do take advantage of the corner Tampa Bay has been backed into. Considering the space they have on their books, they could potentially even sweeten the pot by taking on a bad contract or two to help Yzerman create space for the aforementioned medley of upcoming free agents. “It’s not hyperbolic to suggest that how the next two months play out could be franchise-altering for the Winnipeg Jets. With quite possibly their two most important players both facing uncertain futures with the organization this summer, what the team looks like in the years to come will surely be shaped by the direction they choose to head in. “It’s no secret that a patient, long-term approach by the organization meant that this year would be a bridge season of sorts for the team. Still, even while keeping that watchful eye on the future the Leafs have managed to make the most of a couple of side projects under Babcock’s tutelage in the present. “With just under 30 games remaining until the February 29th trade deadline, the Canucks have some decisions to make about how they’re going to approach the rest of this season. Taking a step back and evaluating your place in the league’s hierarchy in an objective, realistic manner is an equally difficult yet important thing for a front office to be able to do. It’s easy to see how they could look around at the pathetic Pacific division they’re in – which remarkably has only one team that has won more games than its lost thus far – and figure there’s an opening there to try and squeak into the playoffs, and make a few extra bucks. “There isn’t just the one single foolproof method for building a successful hockey team. If there were, then everyone would follow that blueprint to a fault until it became outdated and someone ultimately came up with a new one to chase. While the NHL may be a copycat league, if everyone’s doing the exact same thing then it becomes awfully difficult to distinguish yourself from the pack. The key is to follow a couple of fundamental Do’s and Don’ts. Beyond that, it’s up to you to get creative. “There’s been a lot of digital ink spilled over the past couple of years lambasting the Colorado Avalanche. The wheels came off quickly and the fall from grace has been precipitous once they stopped benefitting from a string of fortuitous bounces. It’s been a comedy of errors the last year-plus, making it awfully easy for people to line up and take shots at them (both quite literally and figuratively, in this case). It doesn’t help that much of it has been self-inflicted, as the guy pulling the strings — and for all intents and purposes the guy doubling as the current face of their franchise — has remained steadfast in his vehement dismissal of not even necessarily analytics, or advanced stats, but what are elementary hockey principles. While it’s understandable that the constant stream of snake oil being peddled in such a condescending manner can be off-putting for some, much of the criticism and backlash honestly comes from a place of disappointment more than anything else. It’s frustrating to see so much potential and fun, young talent be squandered because of a combination of poor decision making both on the ice with tactical decisions and off of the ice with roster construction. At a time in which there’s perpetual conversations being had about how to increase goal scoring and generally make hockey a more viewer-friendly product for fans, the Avalanche possess the requisite horses to help alleviate some of those concerns. Instead, they’ve been stuck in mud, spinning their wheels, headed nowhere fast until there was a plan and direction in place. “Many advances have been made in the way we see, think, and talk about hockey these days. The general discourse has gotten significantly more sophisticated, more thoughtful, and that can only be a good thing. That hardly means we’re done growing, though. One particular area we still need to get better in as a hockey community is how we readjust our expectations and projections for players on the fly. The fact of the matter is that the collateral a player builds up for himself tends to stick well past its expiry date, clouding our judgement of their present day worth. Whether it’s a prospect during the draft process, or an active player in the latter stages of his playing career, no one is exempt from it. If you’re a formerly highly regarded prospect, chances are that you’ll get a second, third, and maybe even fourth chance from various organizations despite mounting evidence that it’s just not going to happen for you. If you’re a current player with a past track record for success in the league, you’ll likely reach a point in your career where you’re afforded a much longer leash than your play warrants. You’ll find countless examples of this across the league. It works just the same in the inverse, too. It’s human to be initially dubious of a sensation you’re unfamiliar with. When a player unexpectedly bursts onto the scene and outperforms the expectations that have been instilled for them, the natural inclination is to be skeptical of how sustainable it is. Given the precarious position an executive or analyst can put themselves in by jumping to rash conclusions based on limited sample sizes, it’s more than understandable. With that said, being able to apply new information as it makes itself available and adjusting in a timely manner is a particularly useful skill. Things tend to be fluid and ever-changing, which makes being able to pragmatically gauge what’s real while tuning out the rest of the noise a distinguishing quality during a time in which we’re all mostly working with the same data. “It’s remarkable that Chara, now in his 18th season in the league and 39th year on this earth (after migrating from whichever planet he did come from), is still able to keep getting it done to this degree. He doesn’t quite have the peak fastball that he used to possess in his arsenal, but that has hardly diminished the value he presents to the Bruins. If anything, he’s as valuable as ever given the other options they have around him. Teams have talked about attempting to replicate the ‘Bruins Model’ which has proven to be successful over the years. While that’s fine in principle, it overlooks the simple fact that the primary reason it’s worked in Boston is because of Zdeno Chara’s transcendent ability to consistently erase mistakes and drag his teammates along for the ride. “The Canucks have made a bad habit of leaving points on the table thus far this season. Last night in Los Angeles they padded their league-worst overtime record, adding yet another discouraging late game result to what’s becoming a rapidly growing list of such outcomes. “One of my all-time favourite sports quotes was actually coined by a current Edmonton Oilers employee, and it went something to the effect of ‘people realize that once you trade Evgeni Malkin you no longer have Evgeni Malkin on your team, right?’ It’s obviously an overly simplified point, but that’s by design. It’s one that’s worth remembering in moments such as these. 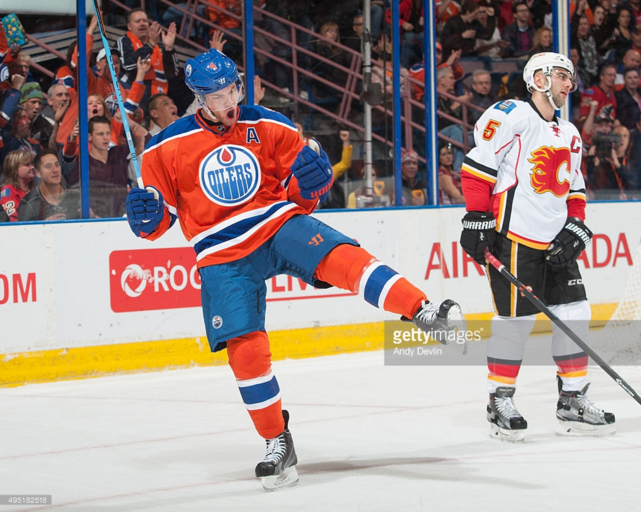 Ryan Nugent-Hopkins is no Malkin, but he is the type of asset that a team should worry about parting ways with willingly. Should the Oilers pull the trigger on a trade involving him, he’ll no longer be on their team. That’s a problem. “The Vancouver Canucks have embraced a youth movement of sorts in the early stages of this season. “Unsurprisingly, the data that we have at our disposal spanning the past decade shows that the consistent control of territorial play is something that the Red Wings have made their hallmark. In the ten seasons under Babcock from ‘05 to ’15, they never finished worse than 9th in score-adjusted possession rate, routinely sitting in the mid-50s. That just made the early returns to start the season all the more unbecoming. It was simply odd seeing them scrambling around in their own zone, bleeding shot attempts and scoring chances against at rates that were in the Colorado Avalanche stratosphere. The one silver bullet they retained in the chamber was the impending return of Pavel Datsyuk, who missed the first 15 games of the campaign with an injury. Despite fully acknowledging his excellence, I have to admit that I was still somewhat wary of putting that much of an emphasis on one single player, and the ripples his impact could make across the team. Given that even the most heavily relied upon forwards play only rough a third of the game, that leaves more than enough time for the pre-existing issues to resurface and manifest themselves. There’s only so much ground one individual can cover, particularly one that’s in his late 30s and has a growing laundry list of nagging injuries that have been accumulating. 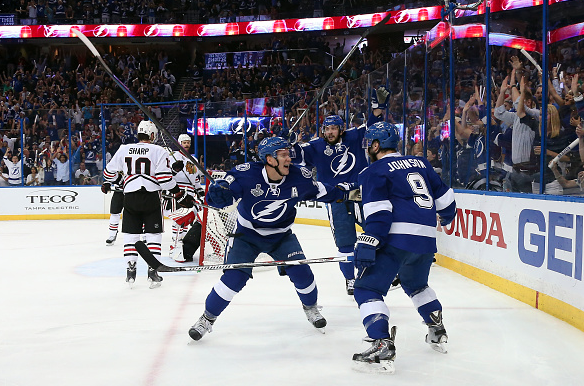 3-on-3 Overtime: The Shooting Star of The Sports World (Published November 25th, 2015). “There’s been ample deliberation so far this season appropriated to how the NHL can improve its on-ice product, making it more friendly for its viewers. With goal scoring continuing to crater all across the league, full-scale changes ranging from larger nets, to smaller goaltender equipment, to a stricter rule book being enforced have all at the very least been considered. While some of these adjustments actually seem to have some merit, there appears to be a case of missing the forest for the trees. In some sense, the lack of goals being scored is certainly an issue. Goals tend to make for more exciting highlight packages that sports networks can use to potentially lure casual fans in. They also allow for a higher variance product, with an increased likelihood for lead changes keeping the specific game in doubt from start to finish. It’s comforting knowing that a game isn’t all but over the moment a team jumps out to a lead early. The goals themselves should ultimately be the byproduct of a free-flowing, fast-paced game that allows its stars to consistently show off their immense skill and shine. How the NHL actually manages to accomplish that without completely messing with the integrity of the game (whatever that means) remains to be seen, though their past handlings haven’t inspired much confidence. How An Injury Could Turn The Jets Season Around (Published November 23rd, 2015). “News broke today that the injury Ondrej Pavelec suffered over the weekend in a win against the Coyotes will keep him sidelined for at least a month’s worth of action, if not longer. While it goes without saying that no one should ever wish injury upon a player, this development may actual have an unintentionally positive trickle-down effect for the Jets moving forward. Things haven’t necessarily gone as planned in Winnipeg to start the year, as they currently find themselves sitting in 6th place in the Central coming off of their first playoff appearance since returning four years ago. While much of that has to do with the brutally difficult division they reside in, it certainly doesn’t help that they’ve been surrendering goals by the bushel-full early on. Their 65 goals against on the year are the 3rd most behind only Columbus and Calgary, and the struggles for those two teams in net have been well documented. Canucks Defencemen and Their Impact on The Neutral Zone Through 20 Games (Published November 21st, 2015). “About a month ago now I introduced a project I’d undertaken this season which involved monitoring how defencemen were impacting the territorial battle that’s fought in the neutral zone. As a refresher that involves both their ability to defend their own blueline against incoming attackers, but also how effectively they’re able to transition the puck the other way as well. How The Penguins Can Fix Their Underlying Issues (Published November 19th, 2015). 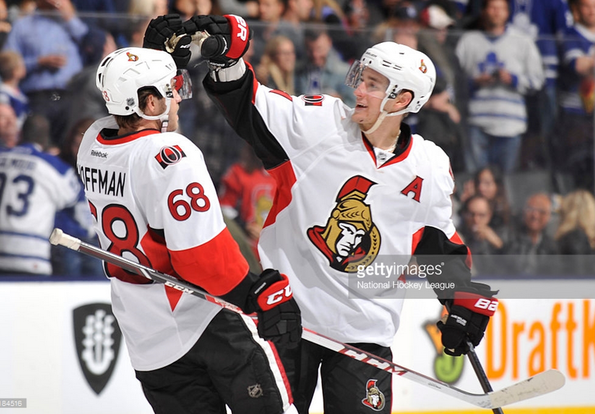 “The dirty little secret is that the Penguins have been bleeding blue-line talent for a few years now, with the likes of Matt Niskanen, Paul Martin, and Simon Despres all having left the organization either through free agency or via trade. While it’s understandable that they balked at picking up the lucrative tabs on the first two names once they hit the market, the deadline deal that sent Despres out of town last year remains just as puzzling now as it was the moment it was announced. Those are three legitimate top-four defensemen who can contribute on both ends of the ice that they’ve yet to effectively replace to-date. Justin Abdelkader’s Gratuitous Extension (Published November 12th, 2015). “Twitter went ablaze on Wednesday evening when The Hockey Godfather let it be known that the Detroit Red Wings were close to locking UFA-to-be Justin Abdelkader up to a long-term deal. This wasn’t necessary a new revelation given that we’ve been hearing inklings about a potential extension for a while now, but the details themselves are so grotesque that the news produced a double take anyways. 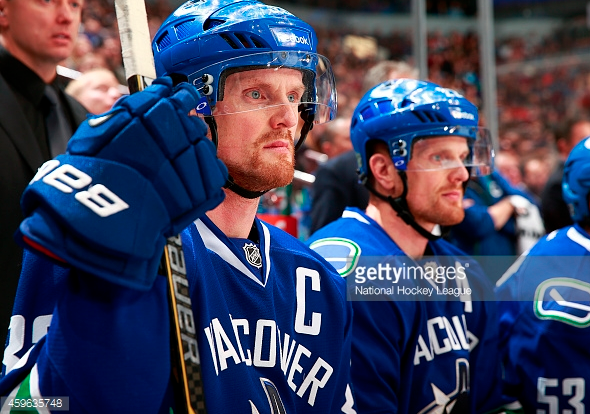 The Sedins are Still Winning the Battle Against Father Time (Published November 11th, 2015). “There has seemingly been a lot of chatter floating around lately about how the NHL as a collective is getting younger. Whether it’s due to salary cap restraints or a changing game that generally demands more athleticism from its players than ever before, the fact of the matter is that teams are divvying up a larger portion of the pie to their more youthful assets. The Renaissance of the Washington Capitals (Published November 10th, 2015). “By the end of the ‘13-’14 season, things truly hit rock bottom. They missed the playoffs for the first time in years, ultimately leading to the firing of both their third coach in as many years and the guy that had been pulling the strings for nearly two decades. As it turns out the organizational overhaul came at just the right time, because the perfect coach to right the ship fell right into their lap. While Barry Trotz is mostly known for the work he did with the Nashville Predators on the defensive side of things for all of those years, I suspect that label doesn’t fully do him justice as a bench boss. The best trait a coach can possess is the ability to adapt to his surroundings, and work with the hand he’s dealt. The Oilers in the Wake of McDavid’s Injury (Published November 5th, 2015). “What happened to Connor McDavid in Tuesday night’s game against the Flyers was a real punch to the gut. And that’s coming from someone who has doesn’t have anything resembling any ties or allegiances to the Edmonton Oilers franchise. Purely as a fan of hockey, it’s nothing short of regrettable that we’re going to be deprived of seeing and enjoying someone who has instantly become one of the most fun players in the league to watch for at least a couple of months. Brent Burns: Offensive Defenceman (Published November 4th, 2015). 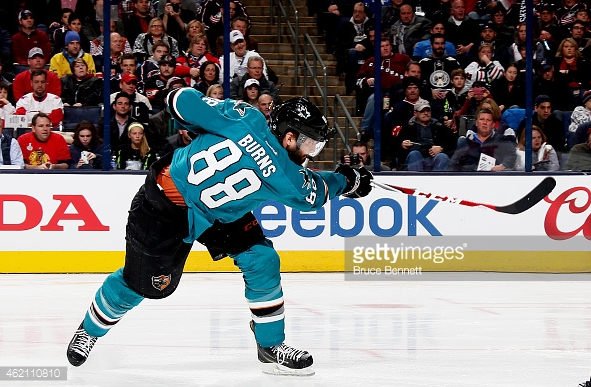 “It’s difficult to shake the memories of how dominant Burns was during his tenure as a forward spanning parts of two seasons stretching from 2012 to 2014. The tour de force showing he had on Joe Thornton’s wing was something to marvel at. Next to one of the game’s most gifted and established playmakers Burns quickly became one of the league’s most prolific goal scorers himself. In their one full season together during the ’13-’14 campaign, the Sharks as a team controlled 60.2% of all shot attempts and 63.6% of all goals scored at 5v5 when the dominant duo was out there. Given the esteem in which NHL teams hold “power forwards”, it seems odd that the Sharks would’ve willingly stripped themselves of one like they have since then. The Penalty Differential Market Inefficiency (Published November 3rd, 2015). “Though the season is still in its infancy stage, based on the first month of play it appears we’re headed towards another slight dip in goal scoring all across the league. Whether it’s the rules, the groupthink resulting in conservative approaches by most teams, or a testament to the level of goaltending floating around, the trend is very much real. In a world with a suppressed number of events and fewer goals being scored in general, the importance of finding hidden value to get a slight leg up on the competition is heightened even further. As the hockey community has progressed and developed with advancements in puck possession metrics and the such in recent years, its only getting trickier to identify and exploit these market inefficiencies. One that isn’t necessarily new by any means, but still doesn’t have the type of traction that it likely should is penalty differential. Given that teams continue to convert on somewhere around 18% of their power play opportunities on average, the value of a player that can serve those chances up on a silver platter remains immense. 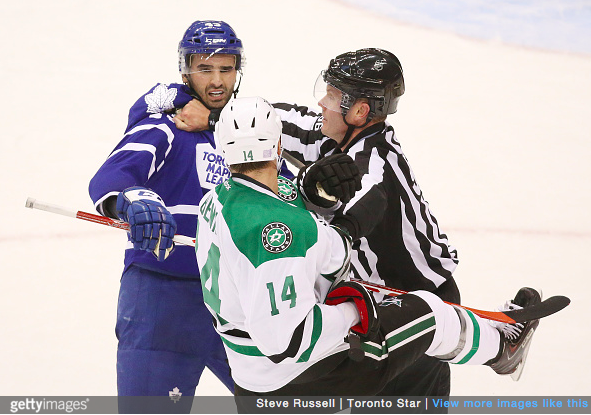 The Bravado Associated with One-Goal Games (Published October 27th, 2015). “When the subject of ‘luck’ in hockey is broached in analytics conversations it generates a high rate of skeptical eye-rolls per 60 minutes. Breaking down Colorado’s Breakdown (Published October 21st, 2015). “The Avalanche went on to lose this game by a 5-4 score, opening their season in absolutely fitting fashion. 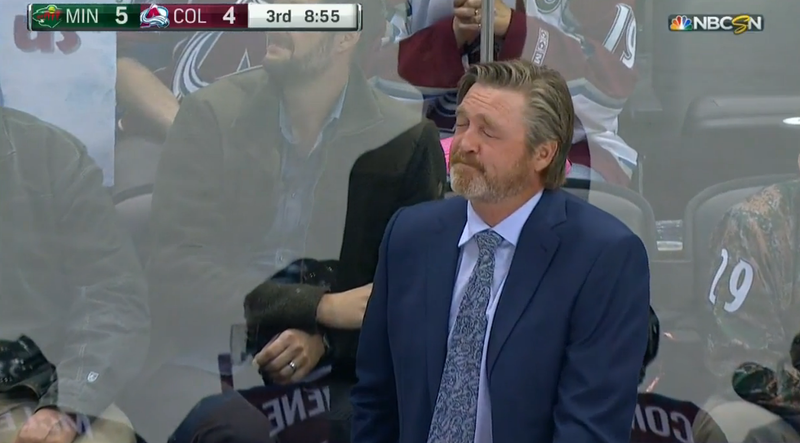 Just yesterday Patrick Roy put his foot in his mouth by saying that that he was more worried about the shots his team wasn’t taking as opposed to the ones they were giving up. And while Roy also seems to think that Corsi may be flawedbecause it doesn’t account for where the shots are coming from, it’s worth noting that War on Ice also has the Avalanche currently giving up the most scoring chances against per 60 minutes (33.4), and having the worst scoring chance differential (-50). Top Lines Taking the League by Storm (Published October 20th, 2015). “I think it’s safe to say that most hockey fans are generally aware of the most obviously dynamic top line combinations out there. Whether its Tyler Seguin and Jamie Benn in Dallas, or Claude Giroux and Jakub Voracek in Philadelphia, The Triplets in Tampa Bay or even The Not Your Average Joes in San Jose, there are some outright dominant units out there these days. If you’re cheering for the team they’re going up against, you’re petrified every time they hit the ice. If you’re an unbiased observer, you’re probably tuning in just to get a head start on that night’s highlight packages. Canucks Defencemen Through the Neutral Zone (Published October 16th, 2015). “As a hockey community, there’s no denying that we’ve come a long way over the past couple of years in our ability to evaluate the on-ice product. The advancement of possession metrics in that time has provided us with a more nuanced and sustainable way to differentiate between what’s important and what’s ultimately just background noise. The All-Hipster Team v2.0, Part 2: Defense (Published October 8th, 2015). “It’s quite possible that Vatanen is already universally held in high enough of a regard that he shouldn’t be eligible for this list. Initially I wanted to use this as an opportunity to gush about him and Tyson Barrie, but the latter having finished last season as a top-10 scorer from the blueline unfortunately made him an instantaneous cut from this list. While Vatanen himself already has an awfully productive campaign under his belt, I just couldn’t get myself to omit him, too. Ultimately this list is about shedding light on guys who are good at hockey and whose play warrants it. I’ve been high on Vatanen for a while now, ever since he stepped into the spotlight and made a sudden impact in a playoff series against the Kings two years ago. What immediately stood out about his game was how silky smooth he was getting around the ice surface. At that time he was a sight for sore eyes for an Anaheim Ducks blueline that included the likes of Mark Fistric, Luca Sbisa, Ben Lovejoy, and even a Stephane Robidas cameo late in the season. Even though their back-end is leaps and bounds better now, Vatanen still remains their go-to offensive weapon from back there. 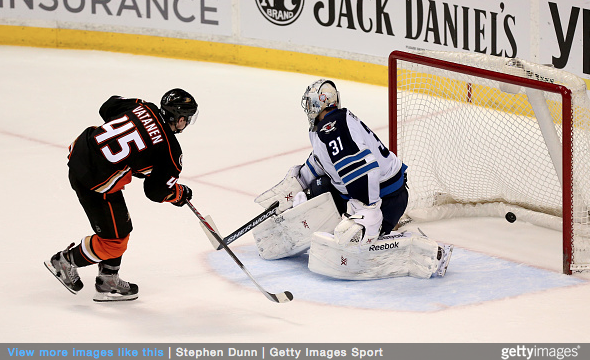 Amongst Ducks skaters only Ryan Getzlaf saw more time on the man advantage than him last season and with good reason. His 5.08 points/60 were 14th best amongst all NHL defensemen. He was doubly devastating when you consider how often he used his aforementioned skating ability to put the opposition in precarious positions ultimately resulting in penalties needing to be taken. Age, Size, and 23-Man Rosters (Published October 7th, 2015). “One of the most archaic things you’ll still hear from hockey fans is the notion that you need to play a heavy, “meat-and-potatoes” style game as a team to succeed come the playoffs. A team like the Los Angeles Kings has had success doing so in years past, but I’d argue that it’s a classic case of missing the forest for the trees. 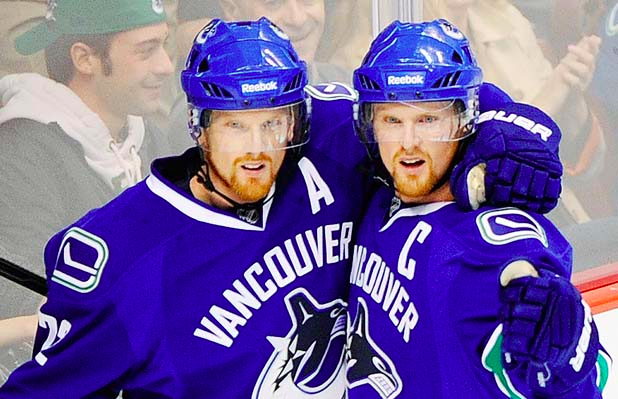 Projecting the 2015-16 Vancouver Canucks (Published October 6th, 2015). “While the immense amount of variance and circumstance in hockey doesn’t lend itself all that well to cobbling together an infallible projection system, there’s still a seat at the table for statistical projection systems. Even if they just purely serve as a conversation starter or starting point of sorts. At the very least they can help remove confounding variables such as personal biases, even if they do admittedly have difficulty accounting for things like usage and changes in circumstances on an individual level. One of these is Tom Awad’s “VUKOTA Projection System”, which essentially compares current NHL players to those from the past (dating back to 1967) with similar profiles in an attempt to predict their output for the coming season. The All-Hipster Team v2.0, Part 1: Forwards (Published October 5th, 2015). “Looking back at the first edition of the All-Hipster Team, which ran all the way back in the middle of the 2013-14 season, I’d say that it was objectively a success. Sure, there are a couple of players that haven’t necessarily progressed into the mainstream like I thought they would by now, but that’ll happen when you take a leap of faith on a medley of players that haven’t quite yet distinguished themselves as notable assets across the league. For the most part, players that have made their way onto this list in the past have not only gone on to do big things but have also cashed in rather handsomely with their following contracts. With a new season looming, it’s time to update the list. When putting it together, I made a concerted effort to single out players that I thought generally haven’t been receiving the sort of widespread love that I think their play warrants (or in some cases, will in the very near future once they truly blow up). That can be an awfully tricky task, though, because for the most part fans these days are far more knowledgeable and attentive than they’ve ever been. Given the coverage of hockey online on a day-to-day basis – particularly thanks to Vines and GIFs being passed around on Twitter on a nightly basis – it’s pretty rare that a dynamic player will truly slip through the cracks.